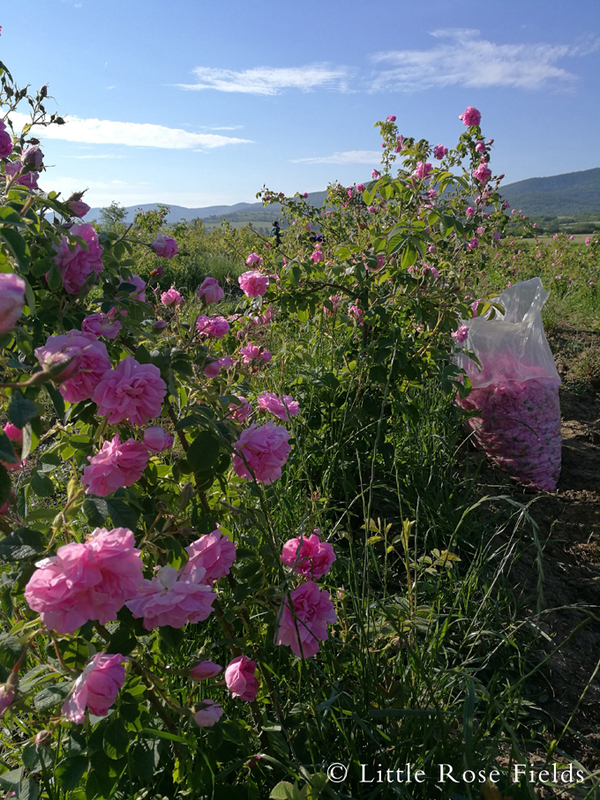 "We are growing roses in the Bulgarian Rose Valley to produce rose oil"
We are growing oil-bearing roses in the Bulgarian Rose Valley. 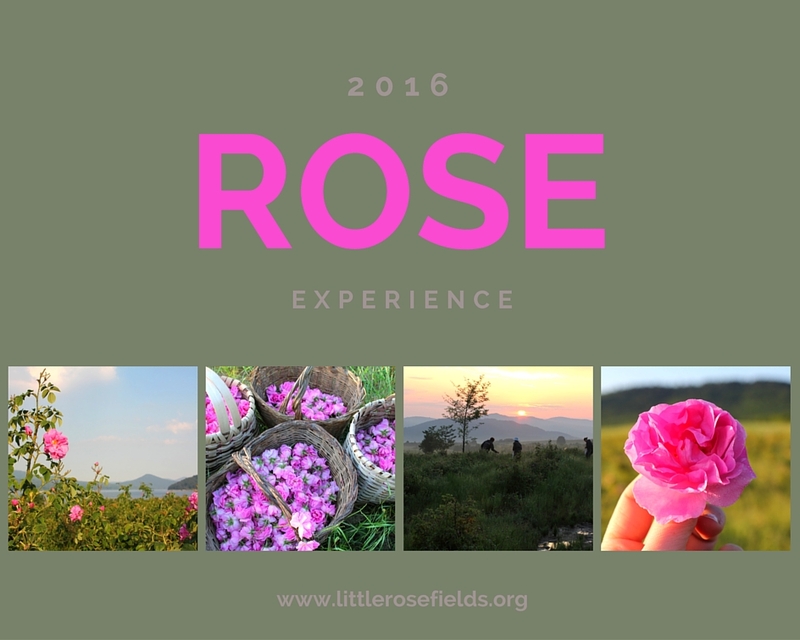 Our goal is to create fields of roses in the Rose Valley that we can be proud of. 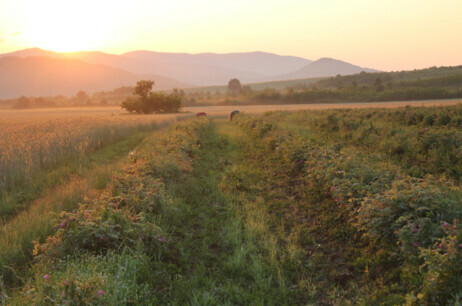 In sharing our experiences we hope to bring new light to the tradition and beauty of the Bulgarian Rose Valley. 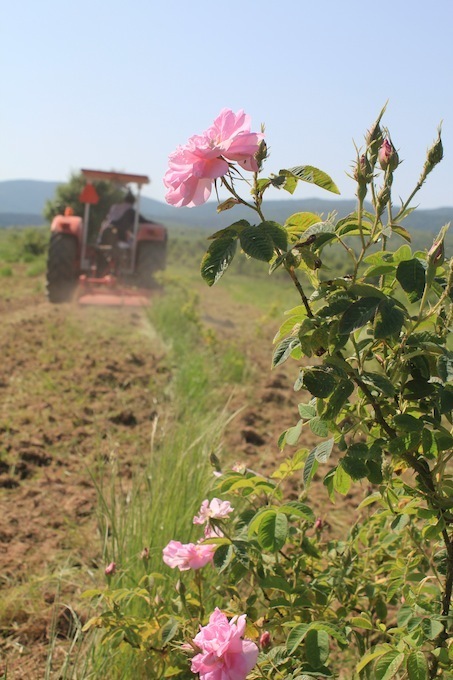 Rose harvest takes place once a year for three weeks starting around Mid-May. 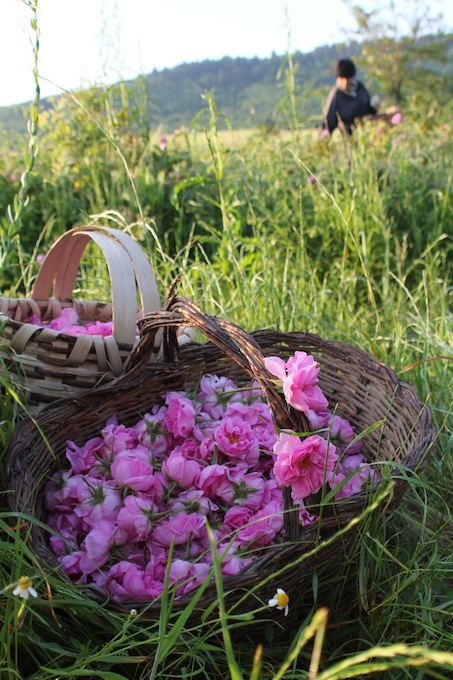 Then it’s time to get up early – The roses are being picked between 5 am and 10 am before the sun is too strong and they lose their fragrance. 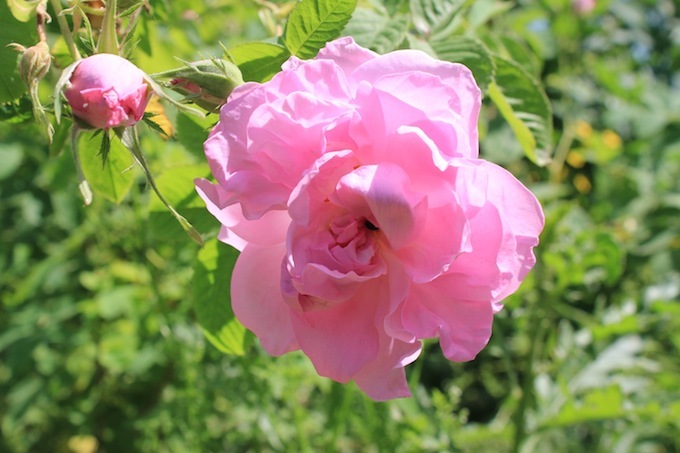 Learn more about the Bulgarian oil-bearing rose “Rosa Damascena” which originates from the Middle East and has been brought to Bulgaria around 400 years ago. 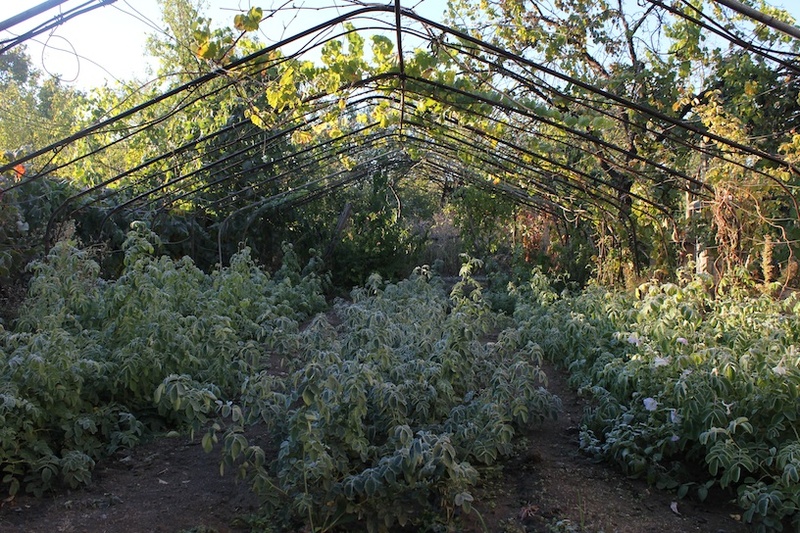 Here, over the centuries it adapted to the climate and developed to Bulgaria’s unique oil-bearing rose. This year was truly special to us - Was it an exceptionally high yield? No, not really. Were the fields in mint conditions? No, not really. But all that didn't matter much this year - As we welcomed our new addition to the family. Later than the last years but richer than ever - and not just in yield but also in sharing with volunteers - this year was truly special. As we expected the harvest to start a little earlier we had a great group of helpers eager to pick with no roses to pick yet - So we made good use of the time and dedicated some joined workforce to one of our fields that has many Black locust trees growing in between the roses as it is next to a natural forest. 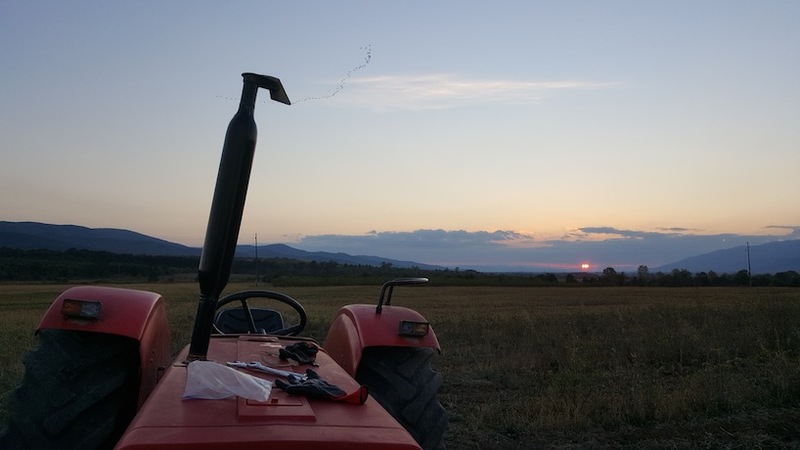 With a manageable size and magnificent lake view it is pure joy to work on our new field. Although the thick and lush bushes had suffered from the severe drought this summer, they have stayed strong and produced new shoots from the ground. Another wonderful picking season has come to an end. Many guests from around the world surprised us this year. Thanks to Virginijas interview on the Lithuanian Blog "Euroblogas" we welcomed several visitors from Lithuania for the first time. It seems like we are becoming popular in our village for having unexpected guests: More and more locals find themselves with the task of bringing our guests over to our house. "I think these people are looking for you" was a common phrase we heard this year. This year you had to be right on time to make it for the harvest. It was a rather short season and let's say "relaxed" since nature has decided to give the roses a little rest and not produce too many buds. 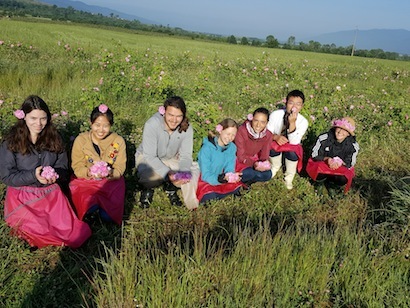 Luckily, all our guests got a chance to experience rose picking. 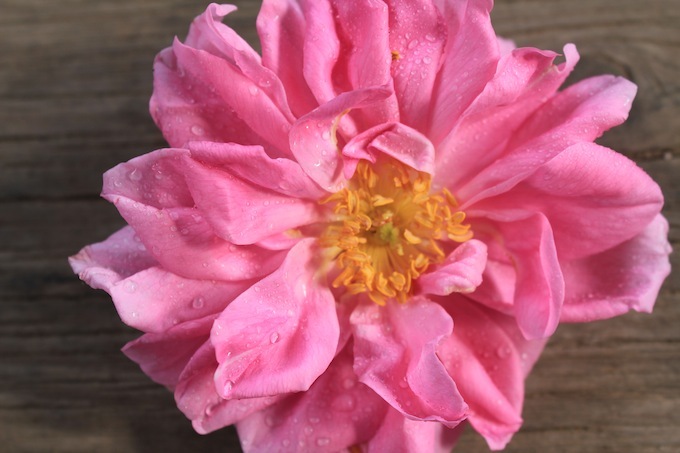 Our roses started blooming, it's time to pick these beautiful blossoms! Let's see what this year's harvest will bring us. Already worried in April that the roses might start blooming any time now due to the short and mild winter, plenty of rain and little sun kept the harvest going. Our longest picking season didn't faze our guests: This year's picking season was very Japanese having Yumi and Yuri as our guests. 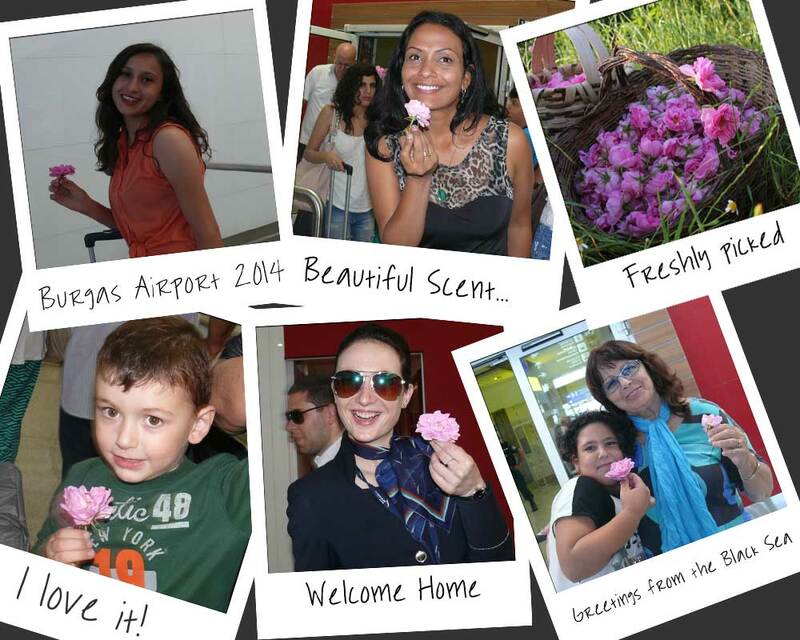 The third year in row, we welcomed tourists at the Sofia and Burgas airport with a freshly picked rose for two days during picking season. After a rainy start of the rose picking season this year, the weather got better the last few days helping more and more roses to bloom. 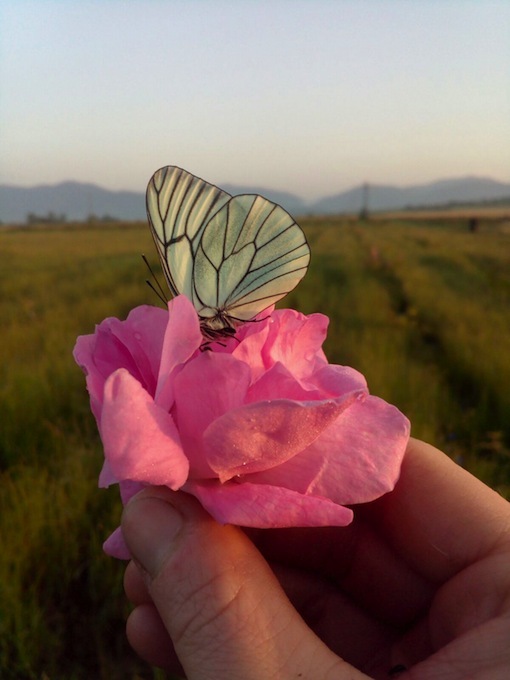 From now on, the morning starts at 5 am picking the roses at sunrise. We welcome anyone interested to join us for the "rosiest" time of the year. A British travelogue of Bulgaria from the year 1965. 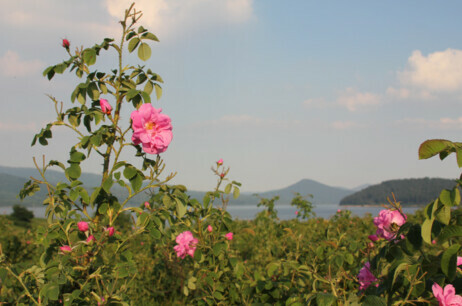 Emphasizing on one of Bulgaria's best feature...the Rose Valley. 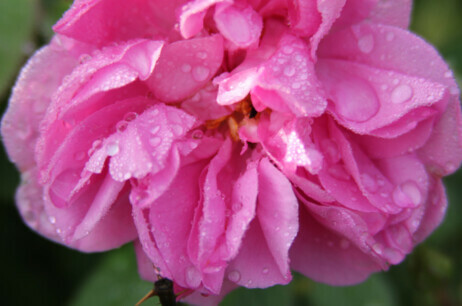 April is known to be the wettest month at the roses. Plenty of rain to get the roses growing for the upcoming rose bloom. 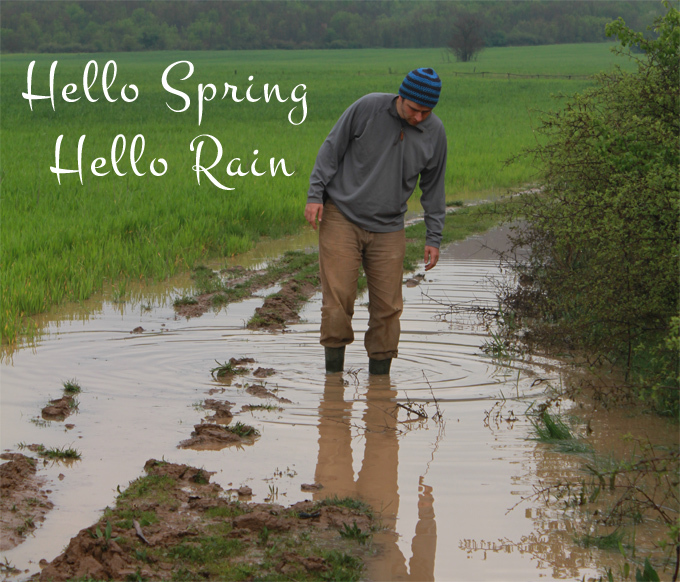 - This year, it was an especially rainy spring season. No chance to get to the rose fields without 4-wheel-drive. 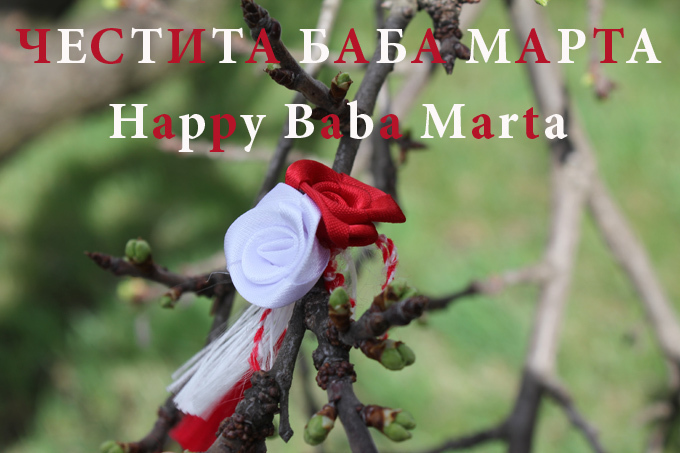 The first of March is the day of "Baba Marta" in Bulgaria marking the end of Winter. On this day, people give each other the so called "martenitsi", small red and white thread dolls (called Pizho and Penda (Пижо и Пенда), interwoven string bracelets - sometimes with other little trinkets attached wishing a "ЧЕСТИТА БАБА МАРТА" - "Happy Grandma March". Having had an unusual hot and dry summer, it wasn't until September that we could work on the roses again. While our so called "Sidekick" field has been trimmed to base level this year just after the rose harvest and regrown quite healthy, the "Little ones" had a tough time without any water.